Known throughout the industry for its reliable capabilities, The Agilent N9020A is a mid-performance signal analyzer designed for today’s advanced and emerging technologies. This quality signal analyzer supports applications that are up to 26.5GHz, and can support 40 MHz, 85 MHz, 125 MHz and 160MHZ depending on options. The N9020A offers internal preamplifier options that are ideal for a wide range of testing needs. It has a 25 MHz standard analysis bandwidth, and offers fast sweep capability as standard. The real-time spectrum analyzer capability is especially useful for short signal durations and offers a 100% intercept probability. 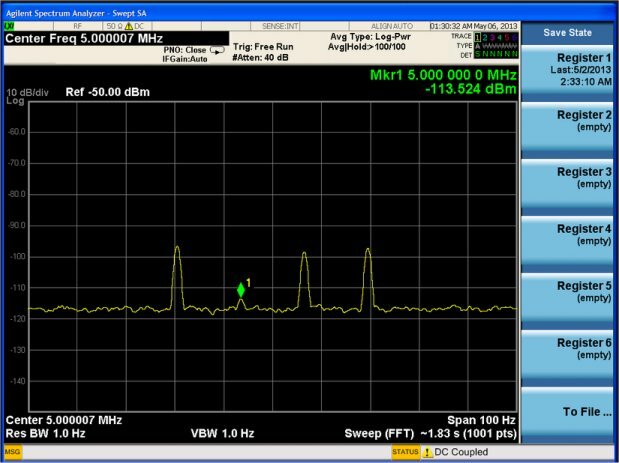 Operators can specifically carry out signal analysis for signals with a minimum of 3.57 µs signal duration. In addition, the N9020A MXA offers absolute amplitude accuracy of ±0.23 dB, assisting users when carrying out various field exercises at high accuracies. It will allow for a third-order intercept of +20dBm and a -114 dBc/Hz phase noise, and also a displayed average noise level of -166 dBm with a preamplifier. 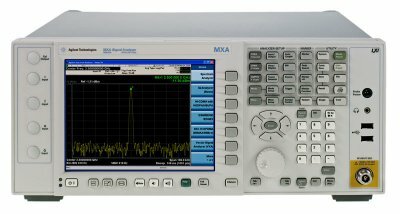 The N9020A MXA is designed to support over 25 measurement applications. It will find applications in digital video, wireless connectivity, cellular communication, and general purpose situations. In addition technicians can perform advanced analysis of over 75 signal formats. The model comes standard with a software tool designed to assist with Matlab data analysis. This feature is suitable for measurement automation, visualization, and general-purpose data analysis. Also included is Agilent’s Powersuite which can adeptly assist with various power measurement exercises. Clients report strong performance and minimum downtimes when using the N9020A. It supports MXA, M-COM, SCPI and it is LXI class-C compliant. In addition, it also supports GPIB, and 1000Base-T LAN. Remote compliance is obtained with 8566/68, PSA, and 856x standards for remote programming. Learn more about LAN eXtensions for Instrumentation (LXI). The MXA signal analyzer is designed for applications in a broad range of temperatures, covering a range of 0 °C to 55 °C. For storage purposes, the model can be stored in a –40 °C to 70 °C environment. It consumes a maximum 465 W in ON mode and 20 W in the Standby mode. It has an included 80 GB internal memory, and it is capable of supporting USB 2.0 external memory devices. Its 1024 x 768 display resolution ensures the technician excellent visibility in all kinds of testing environments. The MSR testing application offers single button RF test and measure and excels when designing, evaluating, and with the manufacture of base stations and their components. Achieve multiple required measurements with ease when working with multiple or single radio access (RAT) situations including occupied bandwidth, ACLR and single RAT time alignment. Other measurement capabilities include (EVM) modulation, channel power, frequency error and spurious emission. For measurements such as frequency error and (EVM), an automatic sequence function is used by the application instead of a wideband capture of a multi RAT and carrier signal. This especially helps to lower operating costs by reducing the requirement of the MXA wide analysis option. Contact us for more information on the N9020A or other quality signal analyzers from Agilent. This entry was posted in Site News and tagged Agilent N9020A. Bookmark the permalink.